Molecu-L is a one-of-a-kind restaurant in Ueno, Tokyo that specializes in "washoku" (traditional Japanese) molecular gastronomy. The interior is bold and original as well. Because of the use of project mapping, they can create fantastic projections that are captivating and very calming too. It may not be traditionally romantic, but Molecu-L is a pretty good spot for a date just the same! Courses are around ¥10,000. They use modern cooking techniques and taste combinations that will surely surprise and delight you. 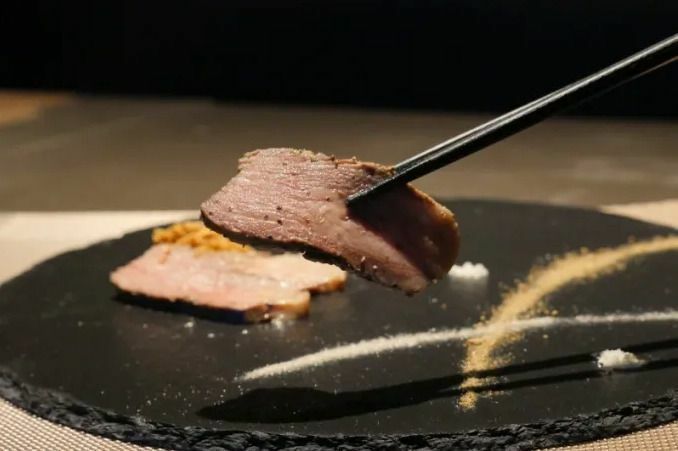 This Japanese Wagyu beef is flavoured with whiskey and cooked sous-vide before being smoked before your eyes in this device. As the cover is removed, you can smell the mellow scent of the whiskey infused meat! Because it's cooked for a long time at a low temperature, the savory umami and the natural sweetness of the meat are all locked in. It's extremely tender too. This "chawanmushi" comprises many Japanese delicacies in one: crab, sea urchin and scallop as the toppings. Underneath these delicious kinds of seafood are two types of jellies made from two different seaweed stocks. There is a hint of a cream cheese flavor in there that blends wonderfully with the other ingredients. 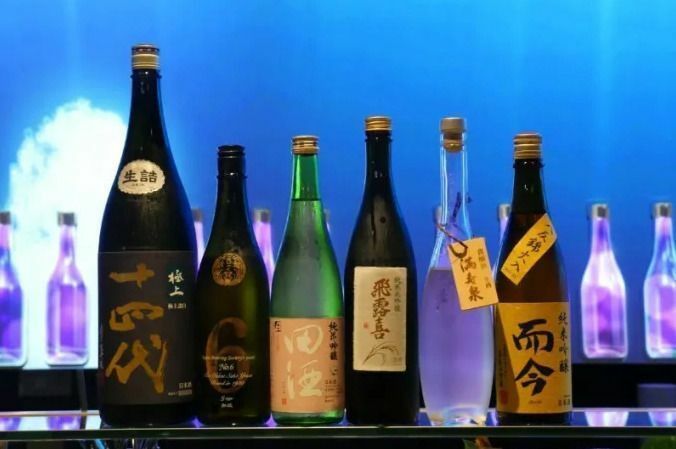 The restaurant has a good sake selection too, and they also offer some pairing courses for ¥5,000 that are well worth it.